How exactly would one make a spectacular sweet cornbread? The answer is yellow cake mix. Don’t worry, no one has to know your secret except you and me. It is very good cornbread. And I’ve heard this is similar to what they do at Disneyworld! I think we can all agree that when you start developing characters for your recipes, you have gone too far. I’m past the point of no return. Mix together corn mix, cake mix, eggs, milk, and vegetable oil. Transfer batter to a greased 9×13 baking dish. Bake for 45-50 minutes. If near the end the top is browning, cover with foil to prevent burning! Transfer batter to a greased 9x13 baking dish. Oops. I forgot to say that I bake the half recipe in an 8×8 pan. Love this recipe! I’m not a big fan of most cornbread but this is super moist, not dry and crumbly. And I love the sweetness too. The whole recipe is too much for just me & hubby now that the kids are gone so I do: 1 Jiffy mix, 1/2 pkg yellow cake mix (I actually use a half cup scoop and scoop out half into mixing bowl and half into baggie to use later), 2 eggs, 1 cup milk and 3 tbl oil. It takes about 25 minutes to bake. And then I have the other half of the cake mix ready for next time. Yummy. Thanks for sharing this recipe. I make a version of this (heavy cream instead of milk) in my smoker. It goes in for 3-4 hours over pecan wood. I also coat the foil pan with Crisco like you would for a cake, but instead of a flour dusting I do a cornmeal dusting. It is absolutely amazing!! 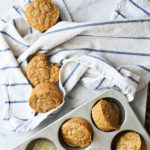 How do I make this with traditional cornmeal instead of jiffy mix? Do you have to add the ingredients that are on the cake box too? Or is it just the dry ingredients in the box? Wonderful! This is Corn CAKE! Heaven! 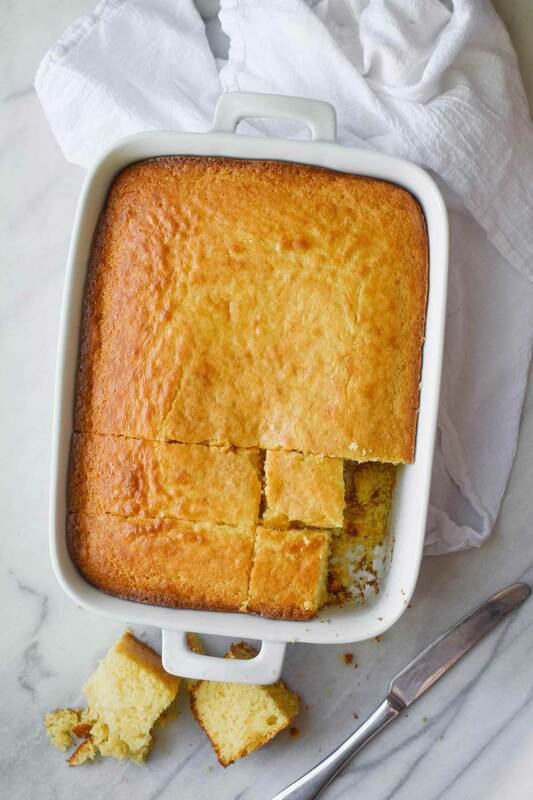 CornBREAD is when you use white cornmeal, bacon grease no sugar and a hot iron skillet! I made this recipe exactly as written. I was looking for a recipe similar to one that an acquaintance would NOT share, he claimed the recipe was a family secret, passed down only to his children. Now I know why it’s a secret! This is damn close — moist, dense, tasting like corn… Mine was done in 25 minutes; servings (for a potluck) in a liberally buttered (not floured) 9×13 pan is at least 12-16. This has been the cornbread recipe for church dinner activities for years and it’s always a hit. I like the variations mentioned in the comments. Can i make this in an iron skillet? Scroll down to see other reviews.One tip i have seen elsewhere, is to heat the skillet first, then add melted butter & coat the hot pan evenly. The hot pan aides in a crispy outer crust on bottom and sides.Hope you post the results. the recipe called for a 9×13 and a 8×8 baking dish.Why 2 baking dishes???? Cupcake wars in my own house! To be clear!!!!! Hope you guys try it and love it as much as we did! So I made this “cornbread” who is kidding who here? I felt like I was on an episode of Cupcake Wars after I was done making this cornbread cake. My Husband told me that he would marry me again! :0) who knew this is all it would take! Baked for 45 min in a 350* oven. OMG don’t even worry about cooling it! This is such a great recipe! I use evaporated milk sometimes. I also love to add 2 chopped jalapenos, a cup of cheese and drained canned corn (or frozen or left over cob corn shaved off the cob ) so great! I’ve made this before with rosemary and jalapenos. Delicious!! Can this recipe be used for strawberry shortcake? I once had a strawberry shortcake and instead of a biscuit, it was a cake with corn muffin taste. Was outstanding but I was unable to pry the recipe from the cook. I’ve used this recipe for years. 2 boxes jiffy, 1 box super moist yellow cake mix, 4 eggs and 1 1/3cup of milk. When it’s finished I cut and drizzle with melted sea salt butter and honey. Family and friends love it. I’ve had many compliments and request for the recipe!! Amazing recipe but it only took 25 min! Made the house smell fabulous! I only have one box of jiffy corn mix!!! Help!! What do I do??? Go for it. Just mix according to the 1 Jiffy box and 1 yellow cake mix box. 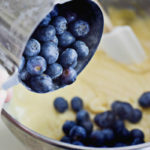 Is it ok to use a yellow cake mix that has pudding in the mix? All I want to do is mix some cornmeal into a box of Betty Crocker Yellow Cake mix and follow the baking directions on the box…can I do that and get a decent corn cake? Do I have to have a 18.25 box? Cause I have a 15.25 box of yellow cake mix. Will it still work? try using a tad less milk…Like 4 and 1/2 C milk. same amt butter/ or oil “should” work. Just made recipe and thought I could save on cost with fewer eggs and 1/2 the milk. So, I used just 3 eggs and 1 cup water and 1 cup milk. Still a tasty but very crumbly. I’m going back to original delicious recipe. It makes a lot! I have used this fool-proof recipe before and I will be using it again tomorrow for Thanksgiving! Thank You! I would like to make this recipe for a group of 250 guests. How do you suggest I revise it? Oh yeah, I would like to bake them in muffin pans too…. Any guesses on cooking time if made in to muffins? 18 minutes. 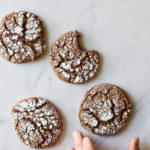 Just made them and in a dark baking pan, they finished just right in that amount of time. I think making it with your method (rather than making the corn bread and yellow cake according to their boxes and mixing the batters) makes for a cornbread like consistency and taste rather than a heavy, moist cake. This method is perfect in my opinion, it’s so much easier. I made this recipe but used a cast iron skillet, set the temperature to about 400. I also added 1/2 cup of honey into the batter. Also melted 4 tablespoons of butter and poured the batter into the skillet with the melted butter sitting in the skillet. Came out incredible, thanks so much Rachel for the ingredients, definitely worth making it in the cast iron skillet. 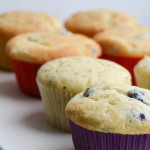 Have you tried this recipe as muffins only? I would like a grab n go sweet corn muffin. Just mixed this up and put it in a bundt pan! Wish me luck! The best recipe ever!!! I always say, “It ain’t skippy if it ain’t Jiffy!! Love the fact that you incorporated the jiffy into the recipe! I was also able to use just the one 9×13 pan and it worked out just beautiful!! fantastic! thank you Rachel, best recipe ever. LOVE THIS WEBSITE, BLOG! SO MUCH FUN TO READ AND GREAT RECIPES! THANK YOU RACHEL! Been making this” Disneyland” recipe for years…Threw a pint of blueberries in…. lovely !! I love it! Thanks Marilyn. Just made it to go with some chili, fantastic success. I think it would fit into just the 9×13 would work and I’ll check it at 35 min next time. Thanks for the recipe.